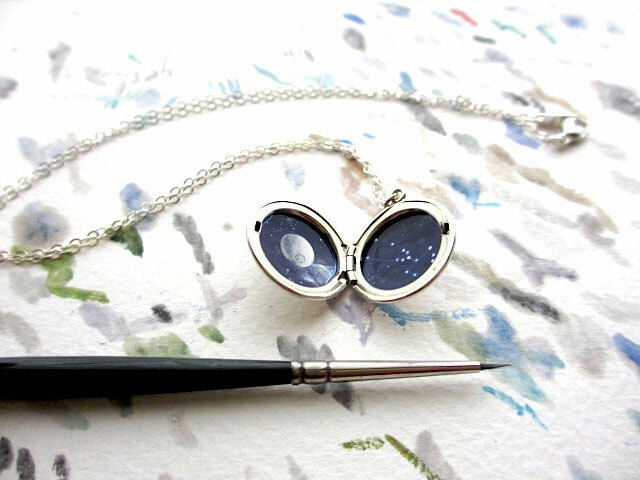 A New York artist had the wonderful idea of paying tribute to the beauty and grandeur of the space by painting the space constellations in tiny jewels. 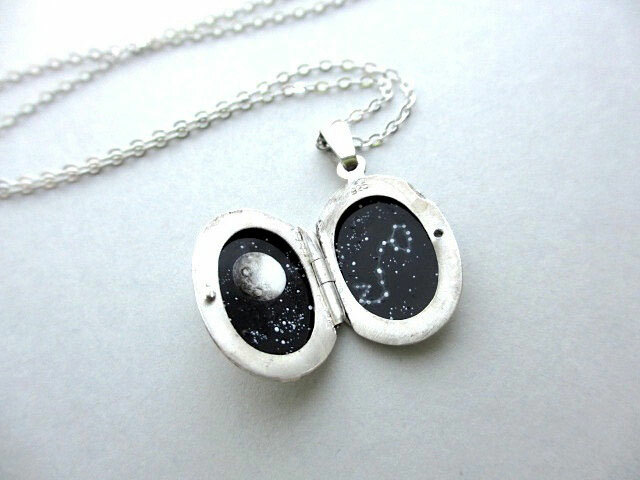 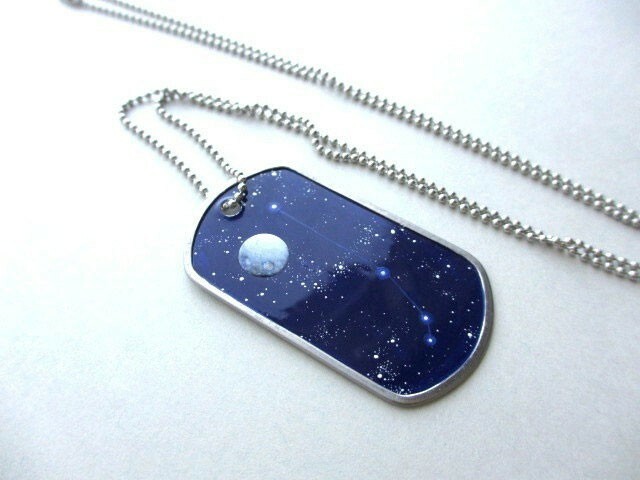 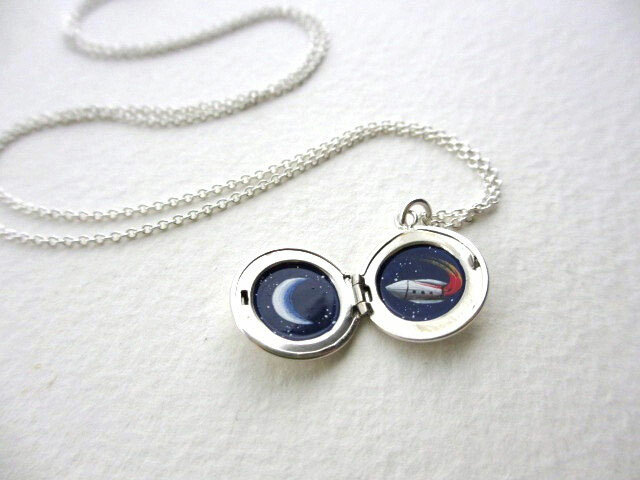 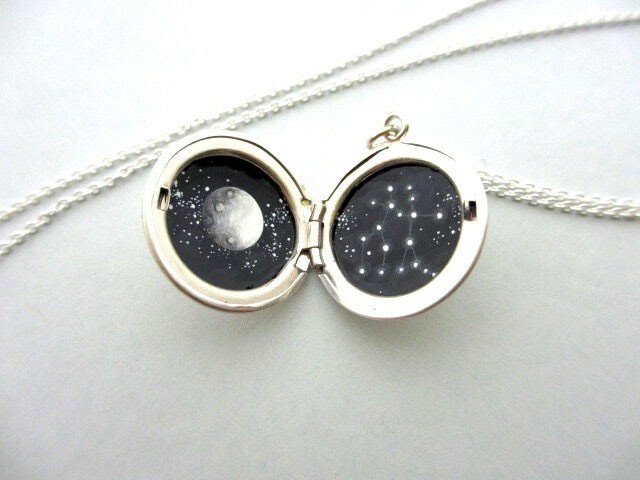 A work of breathtaking thoroughness that you can wear around your neck as cosmos. 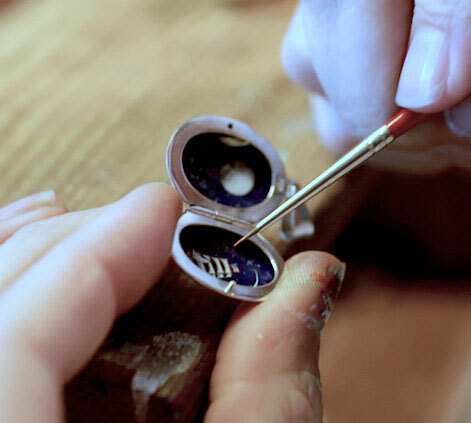 We make you discover these amazing creations. 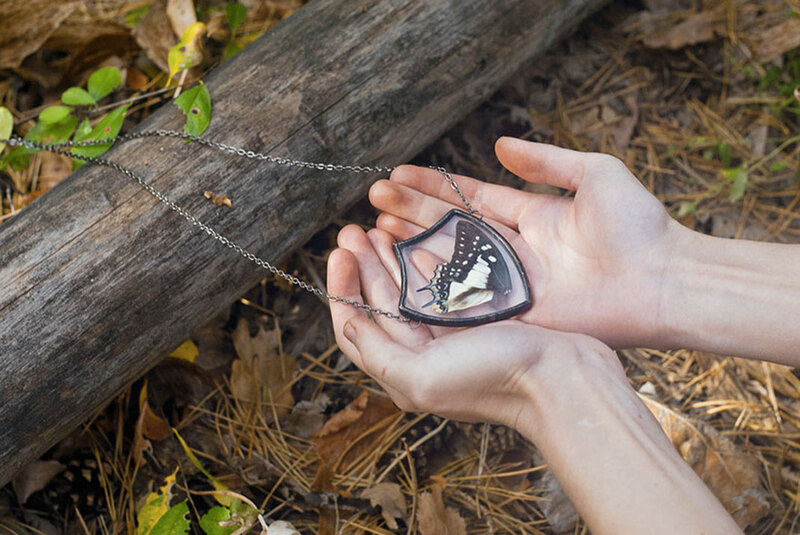 Khara Ledonne is a New York artist of inordinate talent. 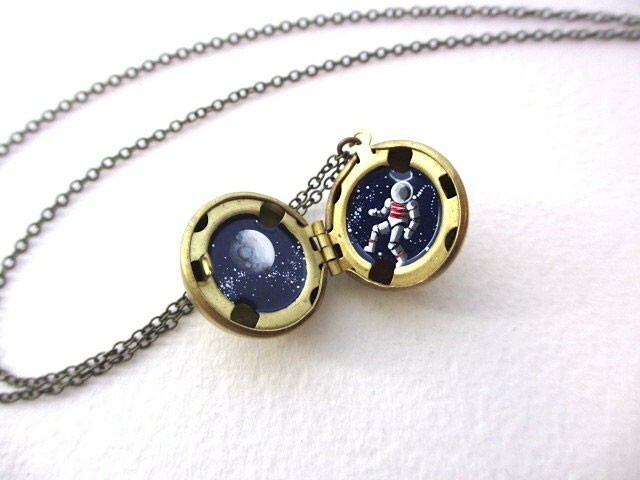 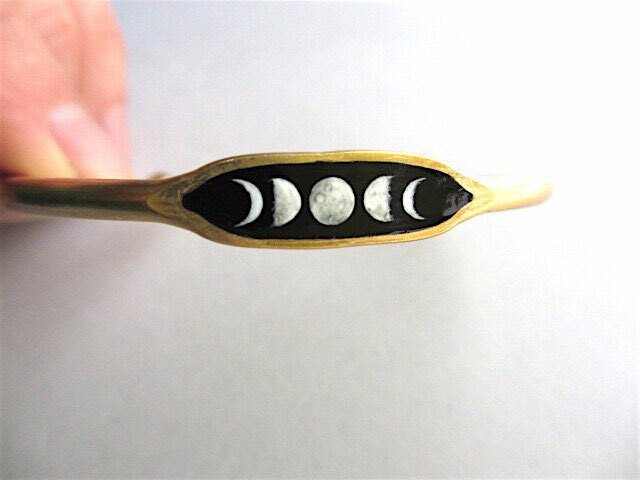 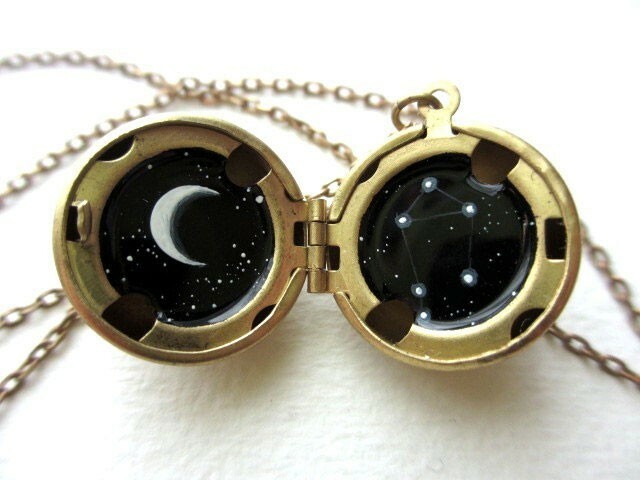 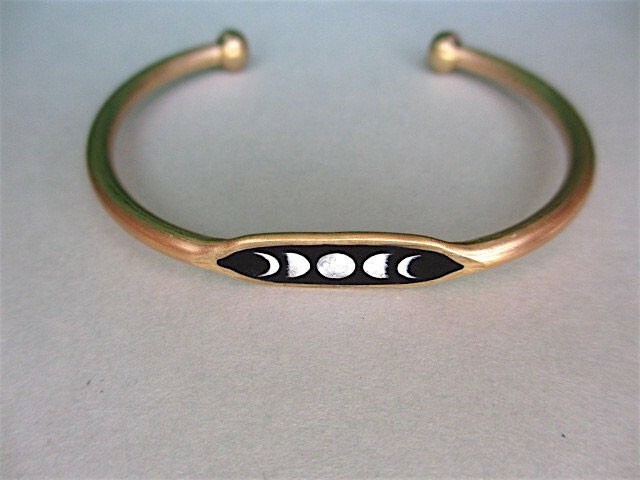 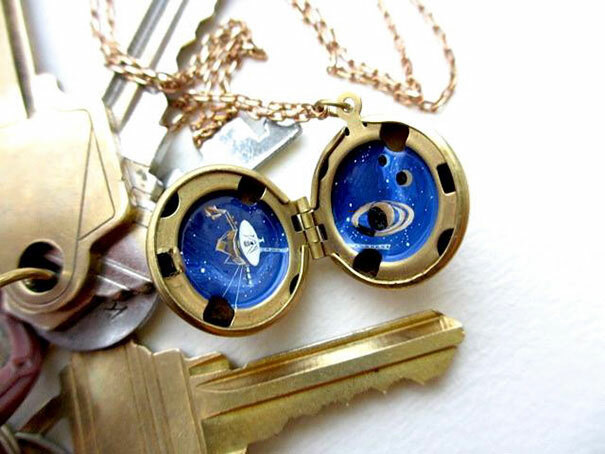 With her breathtaking precision she has handpainted constellations in tiny necklaces, as well as in other jewelry, such as bracelets. 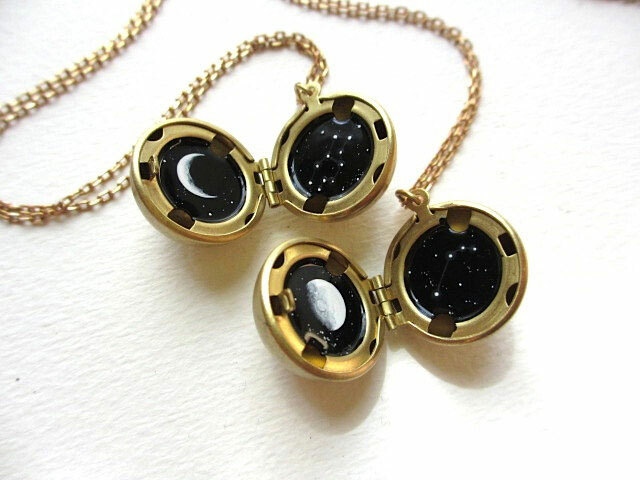 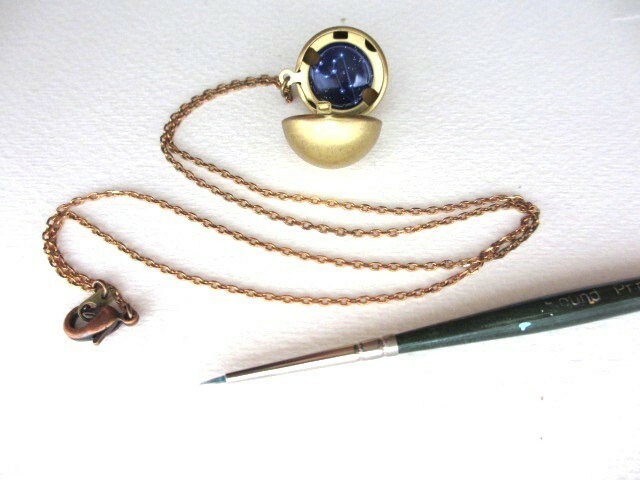 Before starting to paint a star constellations into a necklace, Khara starts by oxidizing the jewelry themselves, making them look more “rustic” and “worn”. 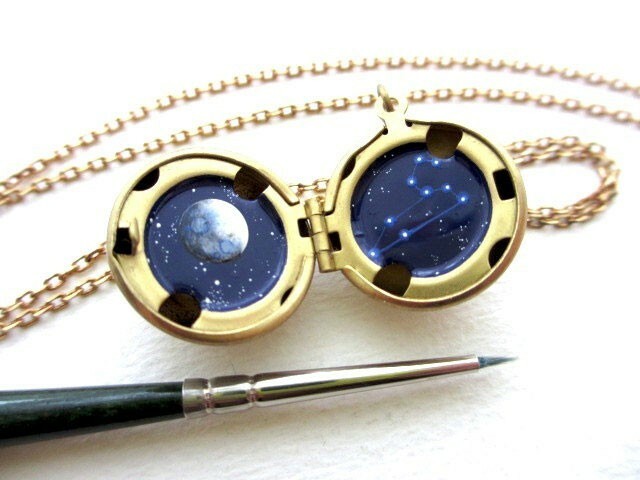 It was only then that she begins to paint by hand and using oil painting she painstakingly draws constellations and other stars of our cosmos with admirable precision. 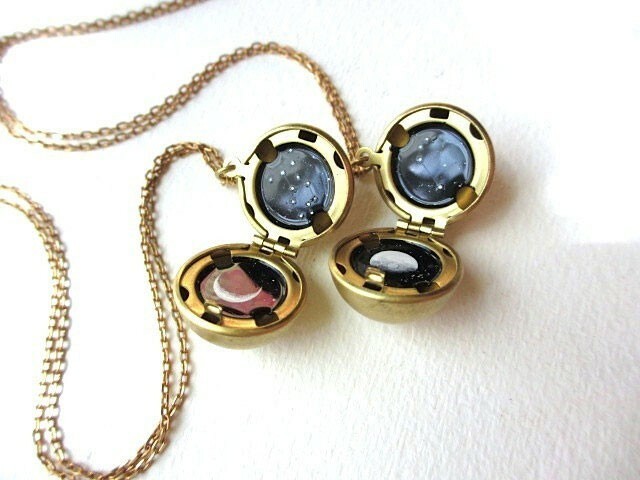 Thus, each jewel is unique and none looks like the previous one. 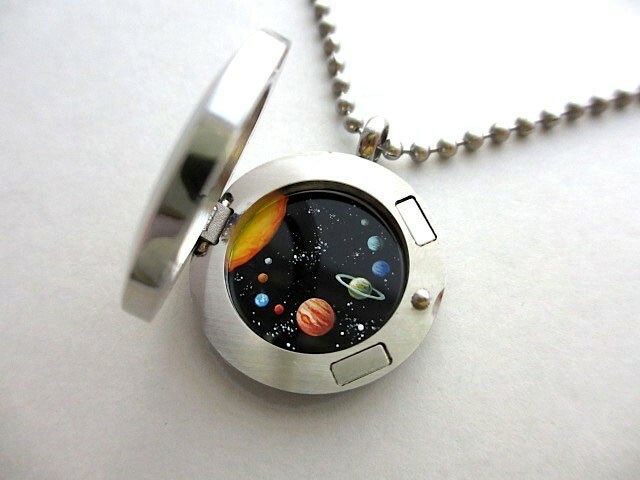 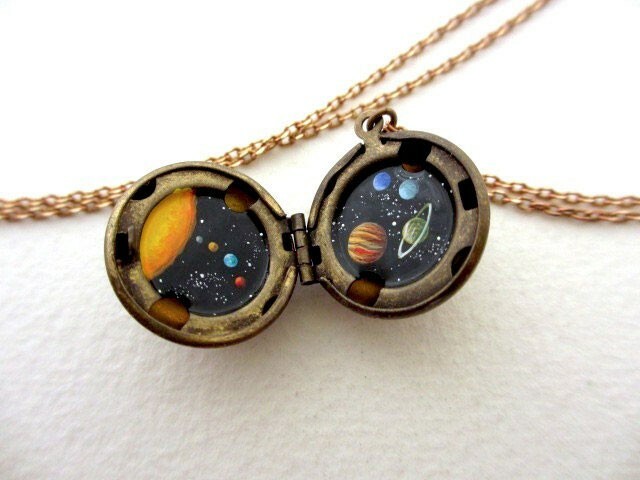 This jewelry containing tiny but infinite spaces of our cosmos are very original! 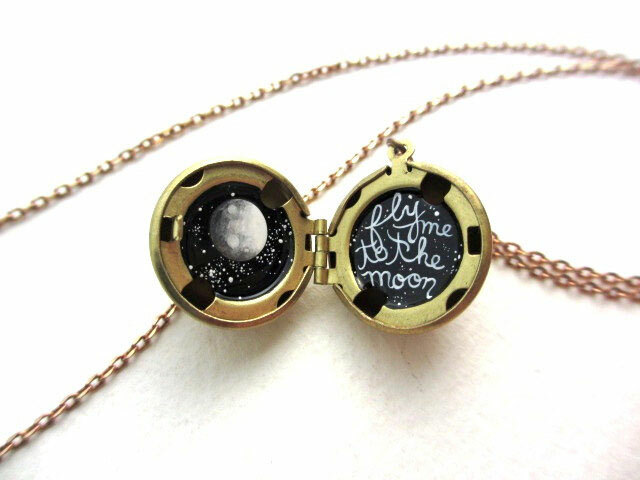 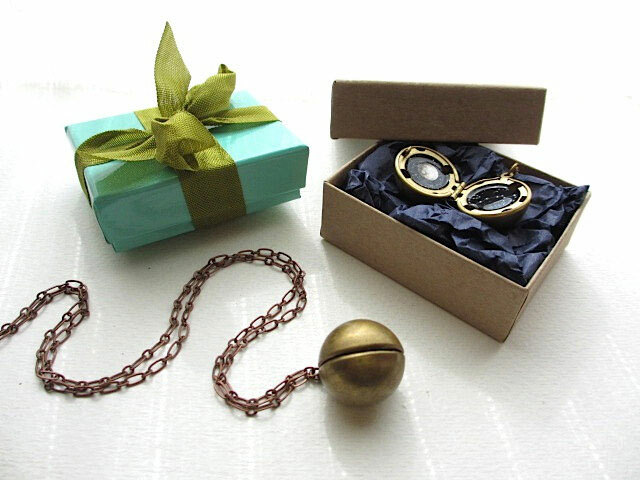 We greatly admire the work Khara and we congratulate her on her great talent and thoroughness.If you like unusual jewelry, then you will enjoy those created by Jeremy that are made ​​from old book pages .